I'm a sucker for a good craft. A while ago, I saw an episode of Sarah's House where Sarah Richardson (who I LOVE btw) designed a nursery with big letters as a ceiling border. When I found out I was pregnant, I remembered that nursery and decided I wanted to try and do it myself. 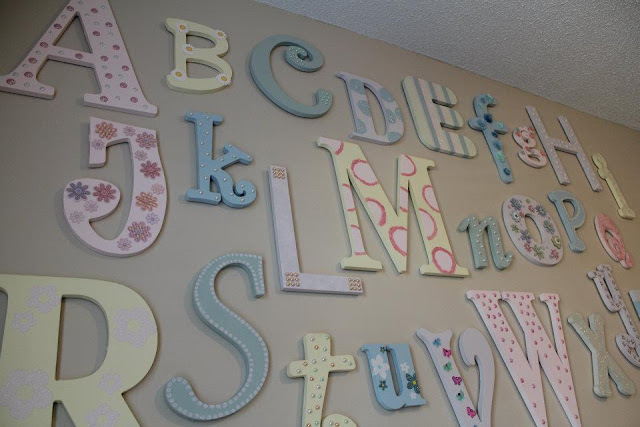 So, originally I wanted to do the border around the ceiling like Sarah, but some of the letters are 16-20 inches high! 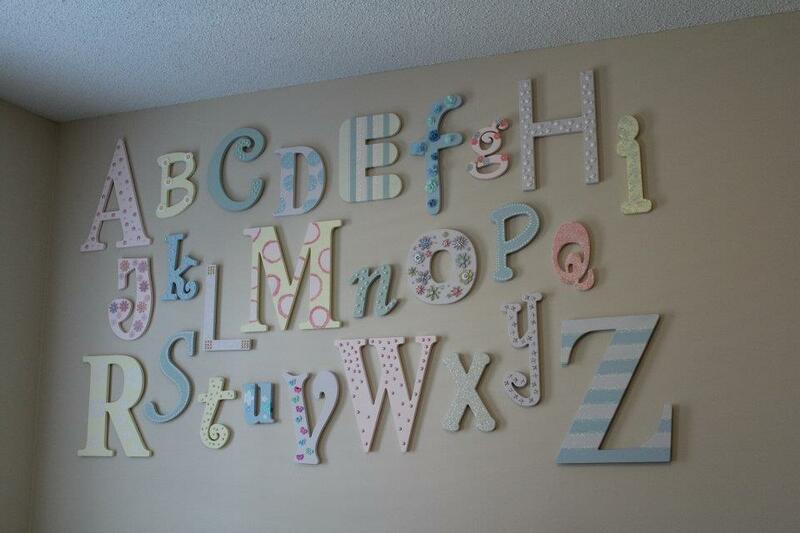 Instead, I decided to make the long wall a focal point, with the letters of the alphabet and numbers 1-9 and 0. After a quick prime, we were ready for paint. We used regular 'ol Benjamin Moore wall paint - not craft acrylic paint. And we used a roller and brush. After 2 coats, it was time to decorate! Some letters were hand decorated and glittered, but most were embellished with stickers and decals that I purchased. The entire job requires lots of patience. None of the steps are particularly difficult, but they are time consuming. Just a heads up! Overall, I'm so thrilled with how the letters and numbers turned out and Isabelle stares at them every time she gets changed. 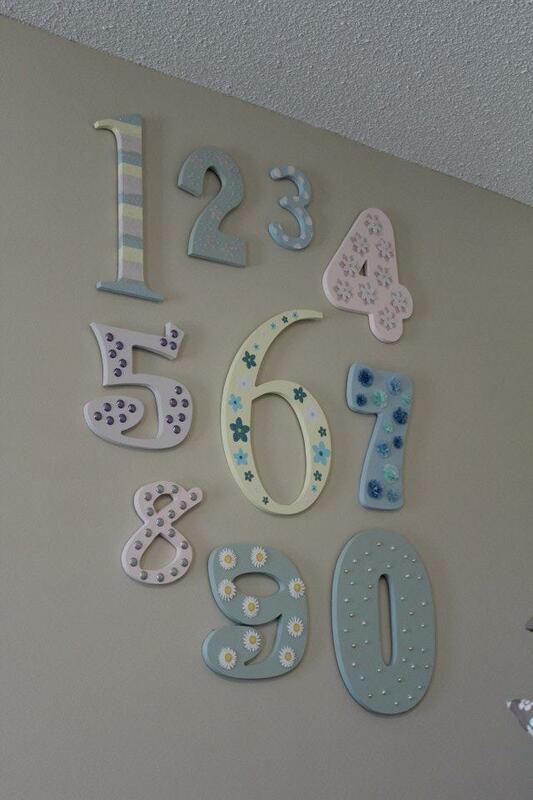 Definitely a great and easy way to make a large splash in a nursery without a) spending too much money and b) the baby growing out of it too soon. They look awesome! Just came across this tonight. Love the numbers too. Thanks for the mention!